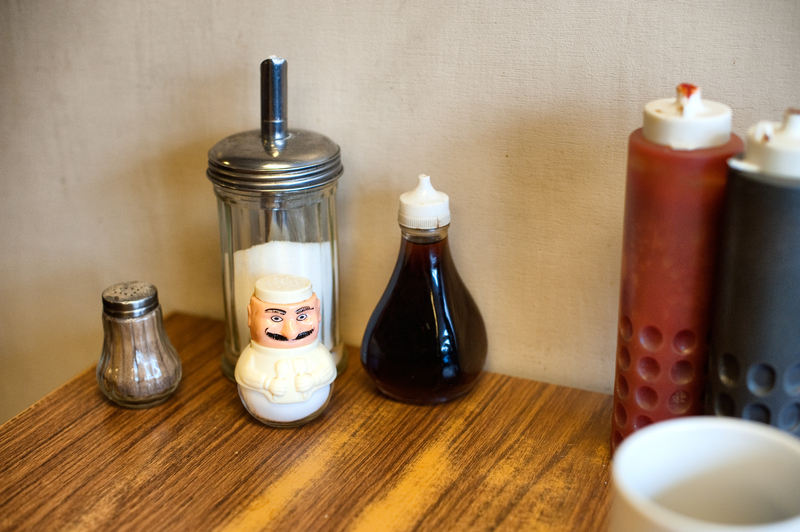 After 25 years serving teas, coffees and classic “greasy spoon” fare on Battersea’s Northcote Road, Tony’s is closing its doors for good. Tony has been caught between rising commercial rents, buoyed by SW11’s gentrification (family homes round here cost more than £1m), and the recession, which has hit his customers spending power. The landlord has put the rent up 125 per cent over the past four years – to more than £30,000, says Tony, a big, friendly, bear of a Turkish Cypriot who seems to know all of his customers. The council, which sets rates based on the rent, has also put its charges up to around £13,000. Weekly wages have risen 6.8 per cent over that period, according to the Office for National Statistics. But inflation of 13.2 per cent has left people’s real earnings 5.6 per cent lower. “You can’t pay that with teas and coffees,” says the chap serving behind the counter. A hearty lunch and a cuppa costs about £6. 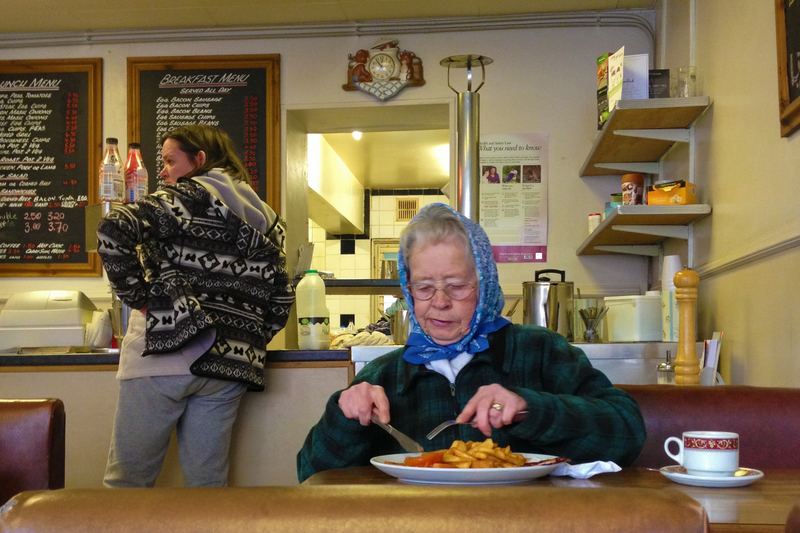 The weekday customers at Tony’s Cafe are mostly tradesmen and locals. When I moved to London 20 years ago, The south end of Northcote Road was populated almost entirely by independent traders. The north, near Clapham Junction station was mostly high street chains, although it also boasted Arding & Hobbs, one of London’s last independent department stores. Arding & Hobbs is now a branch of Debenhams. And while the south end of the street has retained its independent nature better, it has seen a shift to chic boutiques. There’s no shortage of Cafés That Are Not Franchises, but they too have gone upmarket. Tony certainly doesn’t resent the wealthy incomers. They account for much of his Saturday trade – and many have turned out in force to support the business since they heard he was closing down. He blames landlords who know that there are other businesses which can afford to pay more rent for his and other shops on the street now the area “has got more posh”. 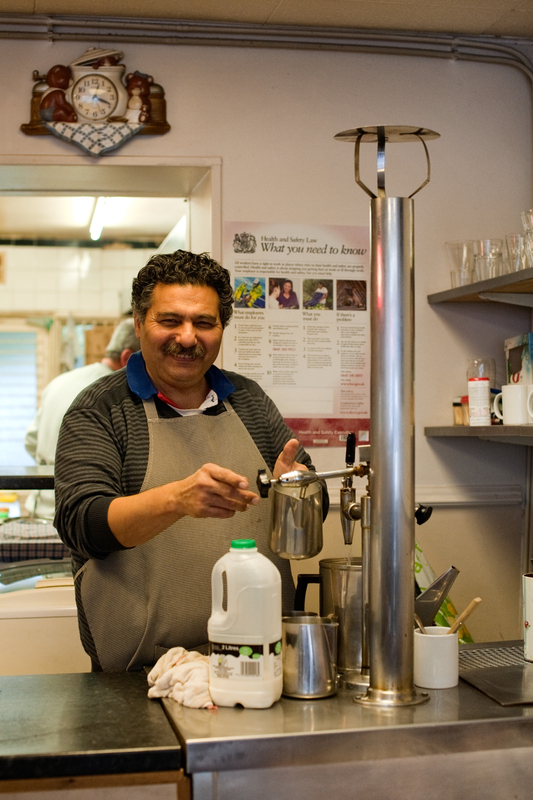 It seems to me that the way Tony runs his café epitomises David Cameron’s idea of The Big Society. Yes he’s there to make money from his business, but not so much that he would turn his back on the minimum wage earners and state pensioners who can’t afford to eat at Northcote Road’s other cafés. It’s clear that he cares from the way he knows what most of his customers want before they do and the way he stops at every table to talk to them. I wouldn’t be surprised, on this blustery, bitterly cold February lunchtime, if many of his customers weren’t here for the warmth and the human contact as much as the good value food. Something else will come along to fill 74 Northcote Road. But if the owner can afford the rent the landlord is asking, it probably won’t be serving Tony’s loyal customers. « Monmouth: Best coffee in London?